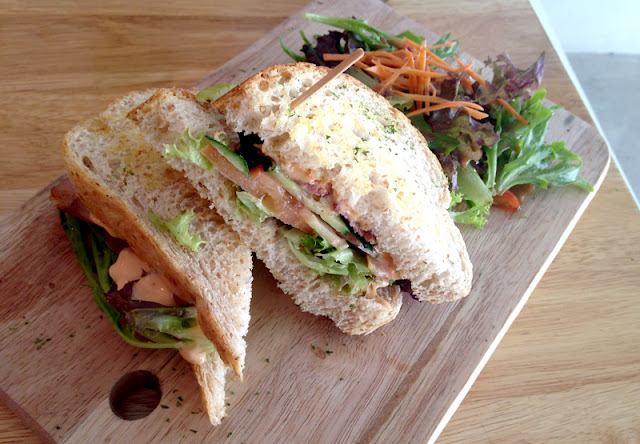 The sandwich is freshly made, you know it's right when the bread is nicely toasted and the meat is still lukewarm! We had slight complications with the bread but the lady (presumably the owner or the manager) resolved it really quickly. She was so apologetic about it (and I felt quite bad as I did not want anything in return) and insisted to give us a slice of lemon cake as compensation. 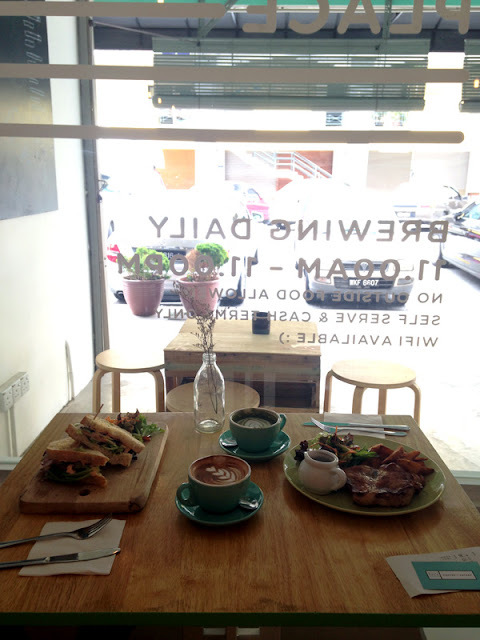 Don't get me wrong, this has nothing to do with the taste, this Pork Bacon Sandwich (RM16) is highly recommended! 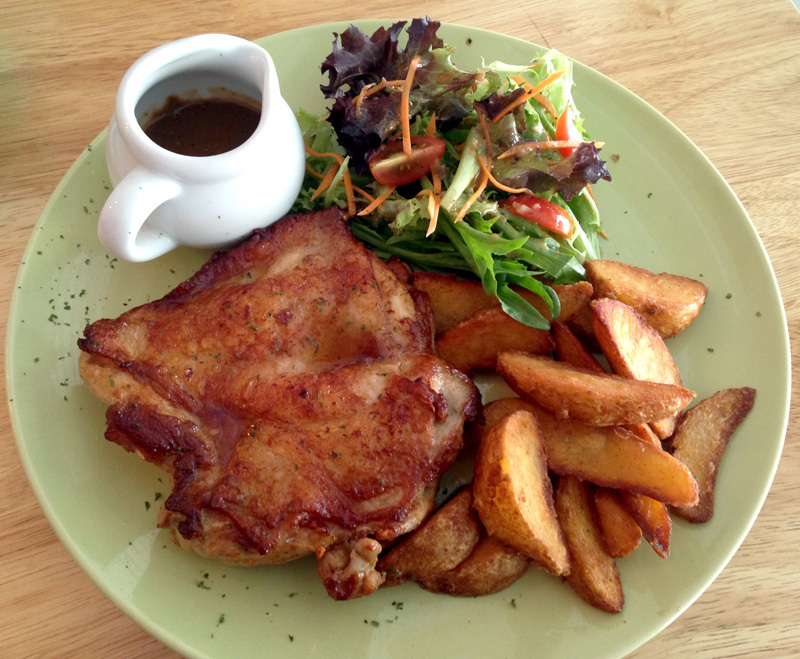 Never would I have thought that the Chicken Chop (RM17) would turn out to be so good! I was just expecting mediocre quality, like typical ones you get at the mamak stalls where you would have to rely on sauces because it is too dry. But nooooo... The meat is so succulent! I don't even need the brown sauce at the side to do justice.. I actually love it without the sauce! Brunch was absolutely fantastic I had to get myself a slice of cake after. 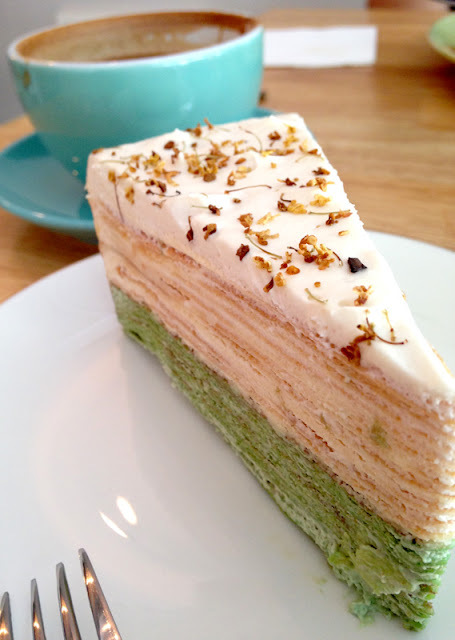 I've gotten us a slice of Jasmine Green Tea Mille Crepe Cake (RM13), as I do not really fancy chocolate based cakes (apart from Red Velvet!). I really love this cake, it is not sweet at all, which suits me well. 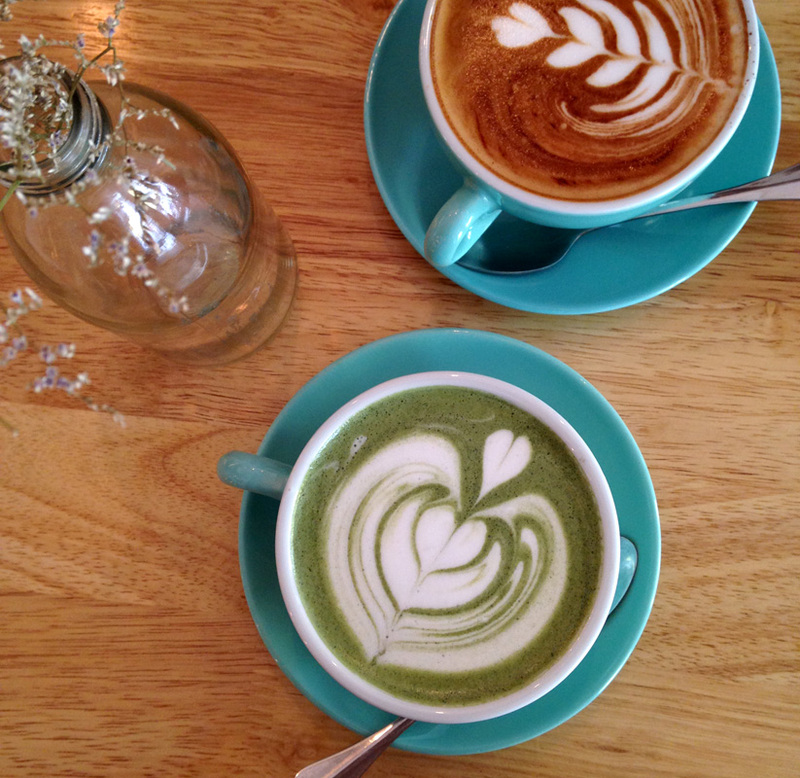 It has really strong combination of both green tea and jasmine flavours. You tea lover might love it! I will definitely be back again for brunch, their food is really worth paying for. 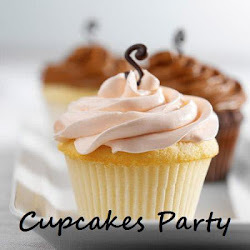 Their selection of cakes are great plus the service is excellent. What else can you ask for from a neighbourhood cafe? !